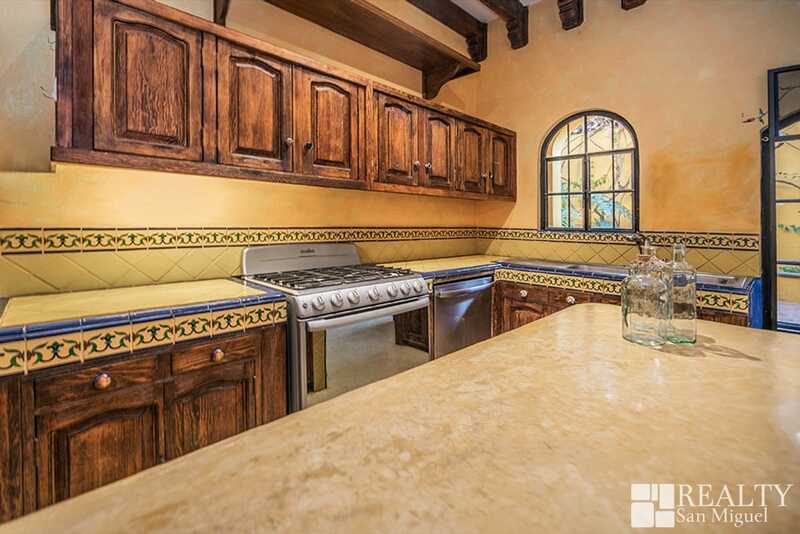 Casa Sterling features three bedrooms, each with its own bathroom, a traditional kitchen that opens to the dining area, a large pantry and utility room, plus a sala with fireplace. 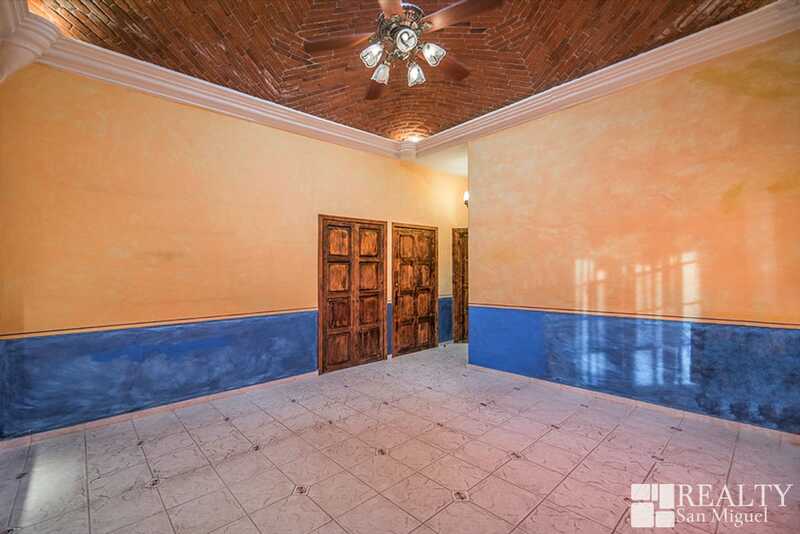 This spacious house is great for entertaining visitors. 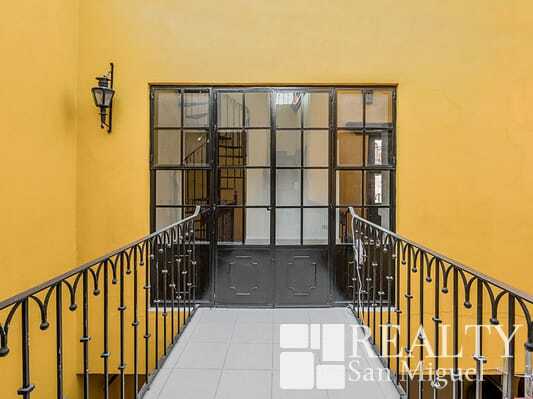 The two-car garage with an automatic door is a rare find for San Miguel. 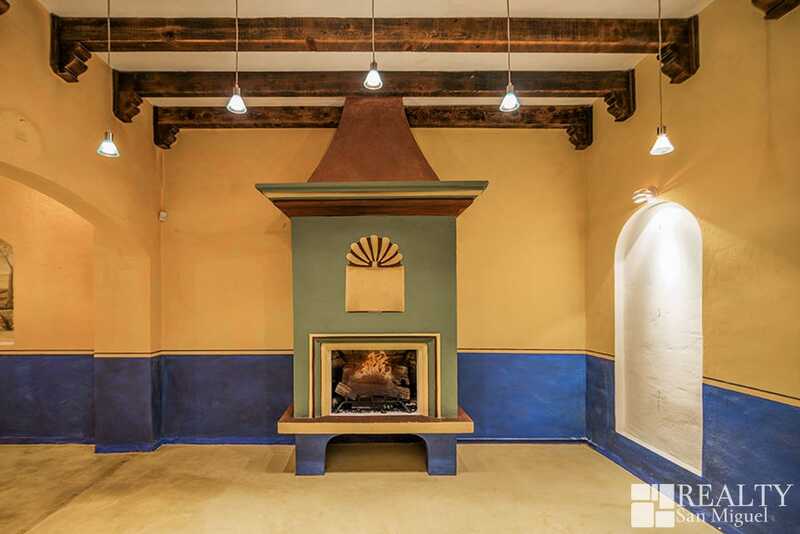 The recently remodeled third bedroom alternates as a large studio or two smaller ones, and is ready for a gas fireplace installation. 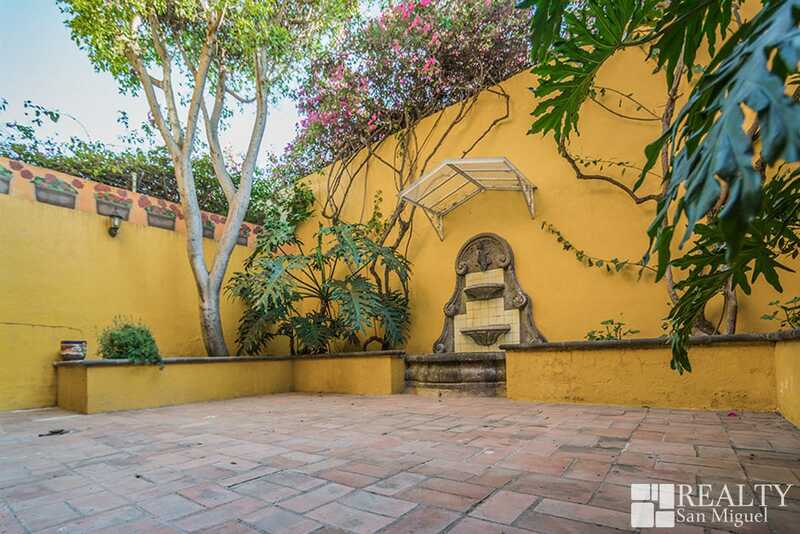 While it is basically undeveloped, the rooftop has view potential to the North and the East. 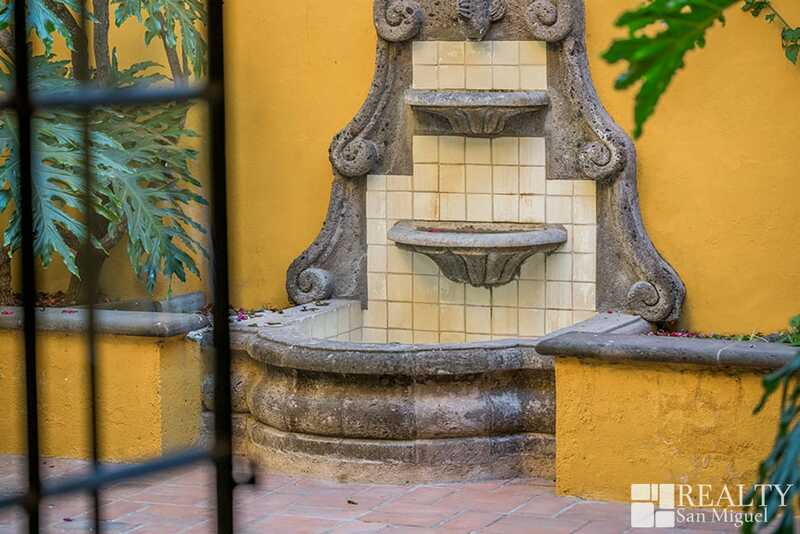 The intimate back courtyard has a cantera fountain and mature trees. 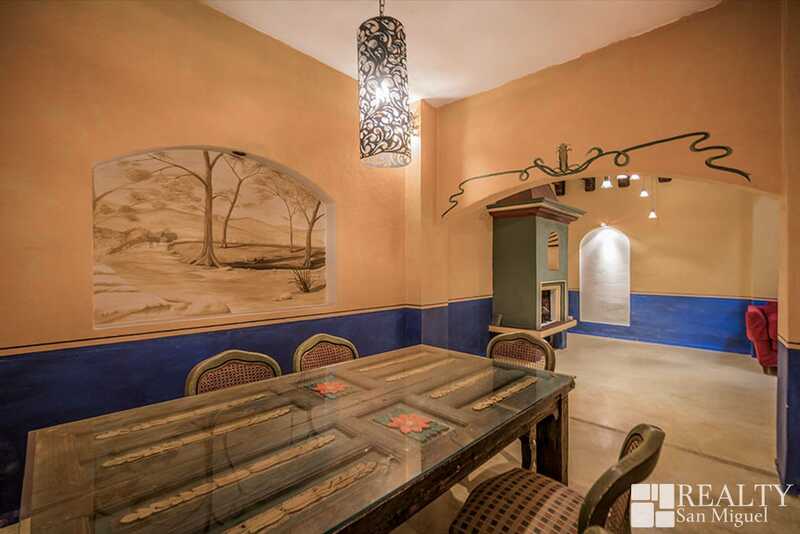 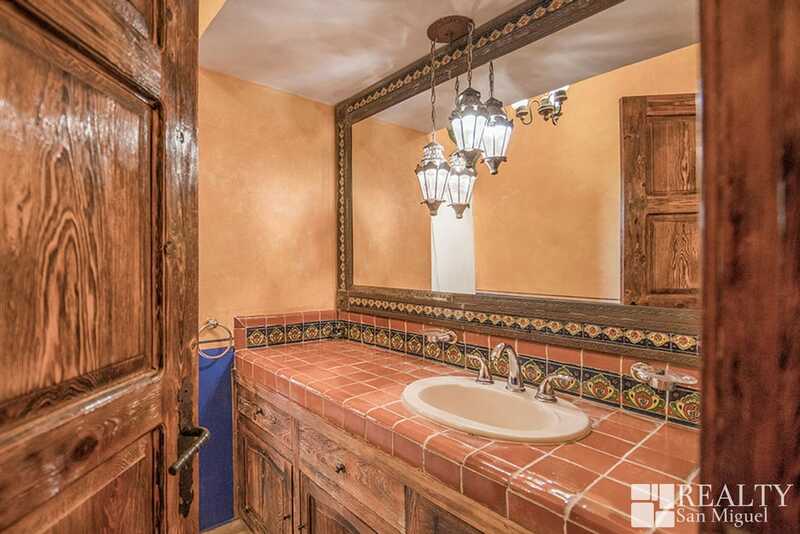 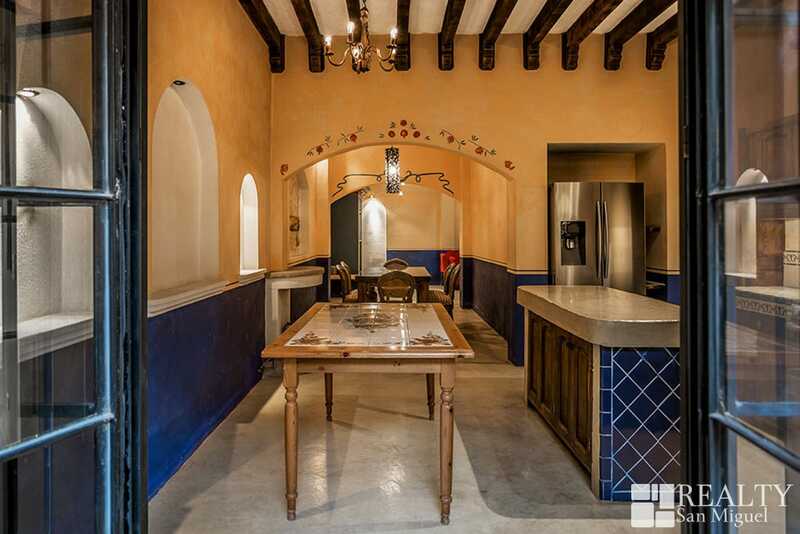 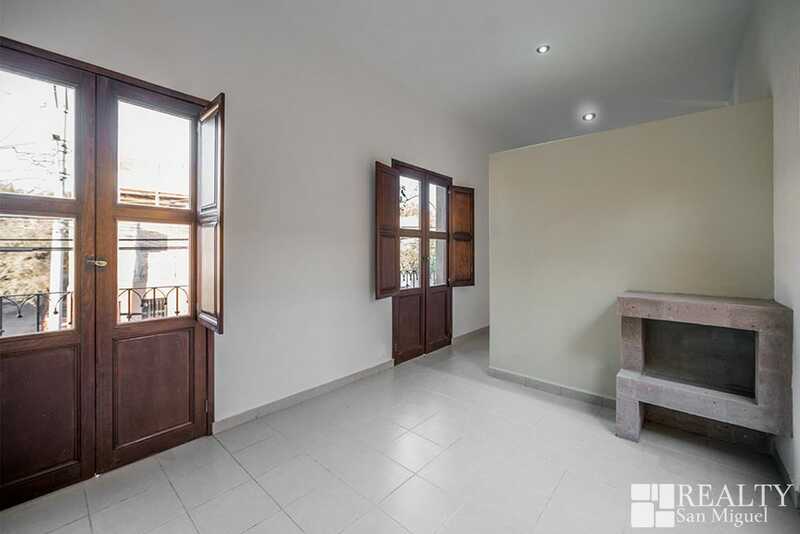 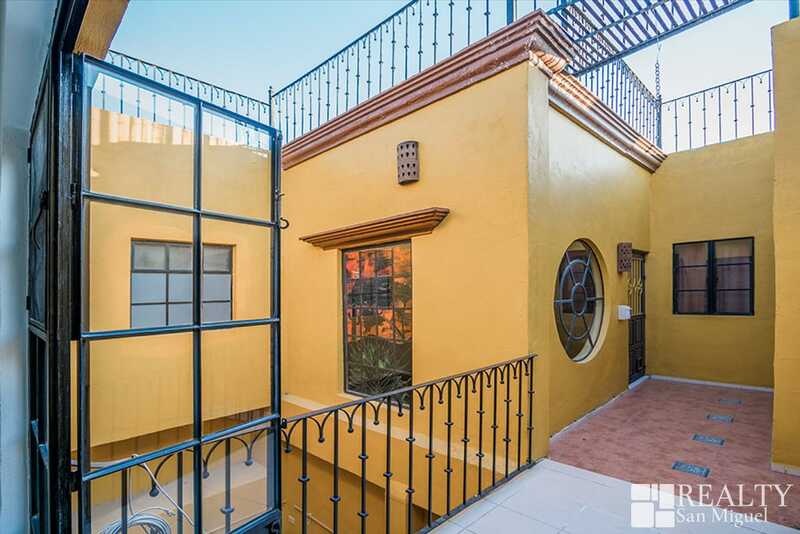 With little more than some design smarts and paint, this house will be a comfortable place to call home, and it’s location—only a block from Mercado Sano and some of the better restaurants of San Miguel—makes it a perfect property to rent year ‘round. 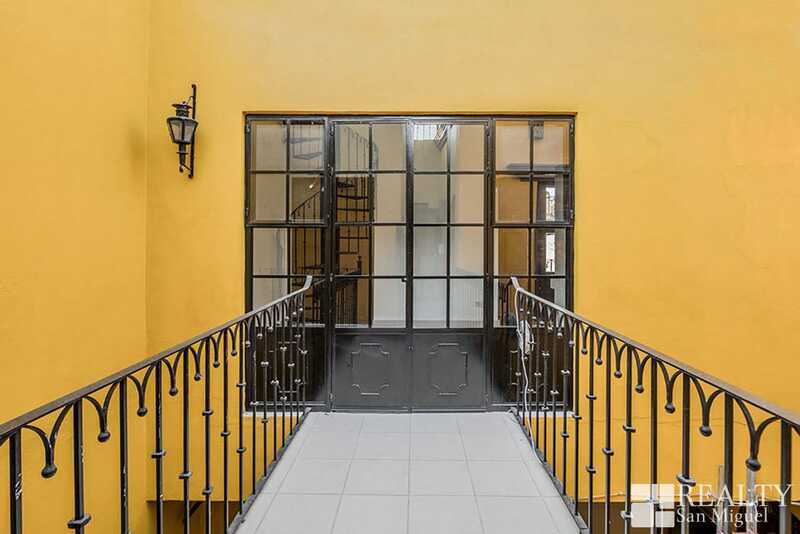 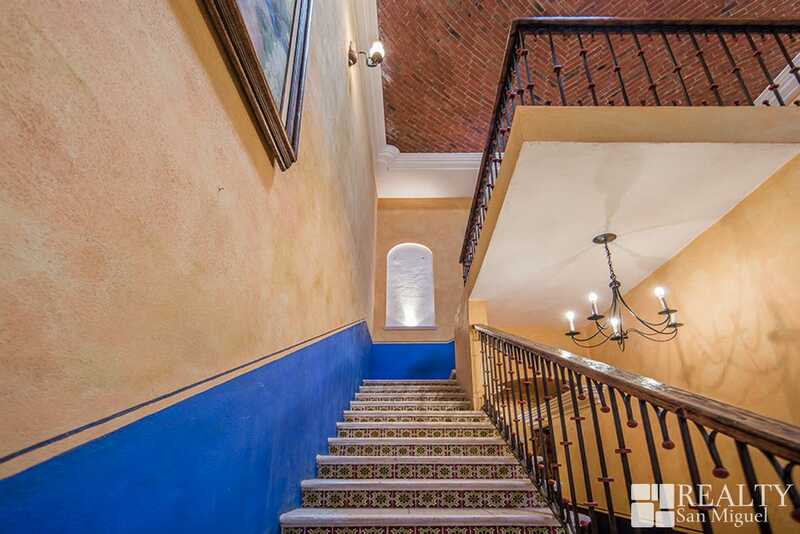 Located in a prime spot on one of San Miguel de Allende’s most important streets, Casa Sterling offers the chance to easily upgrade a classic San Antonio South house into a masterpiece.